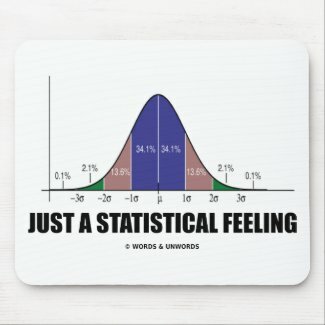 Do you sometimes get just a statistical feeling? 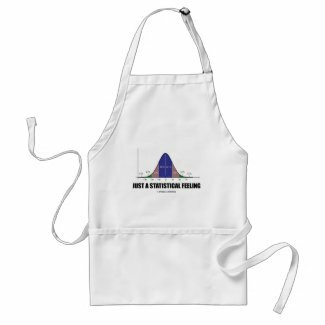 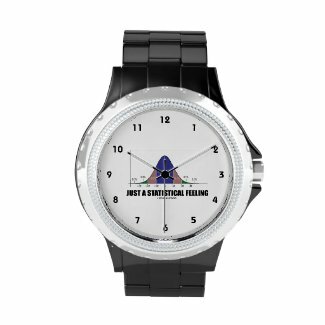 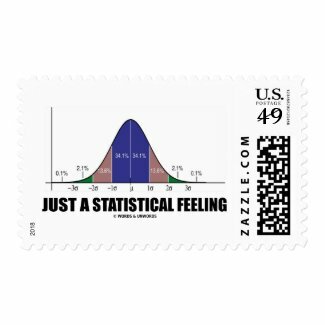 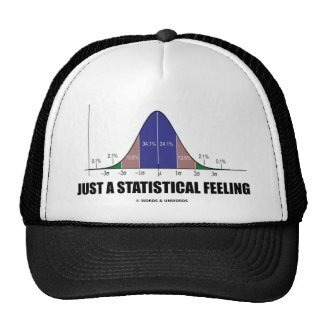 No need to be a die-hard statistician to enjoy any of these bell curve humor gifts featuring the normal distribution curve (Gaussian curve), complete with percentages along with the funny stats saying "Just A Statistical Feeling". 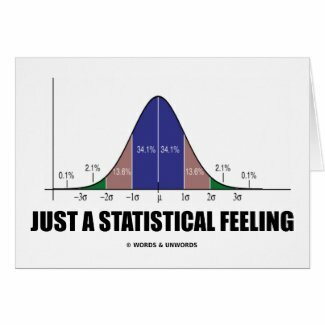 Make others do a double-take at their feelings toward statistics with any of these stats humor gifts!